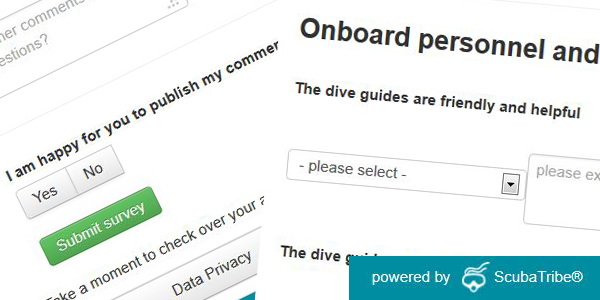 Collecting feedback for Liveaboards and charter dive boats has always been an issue in need of solutions. Whether it be paper surveys that get filed away and never seen or the huge expense of developing and implementing a custom digital feedback system. 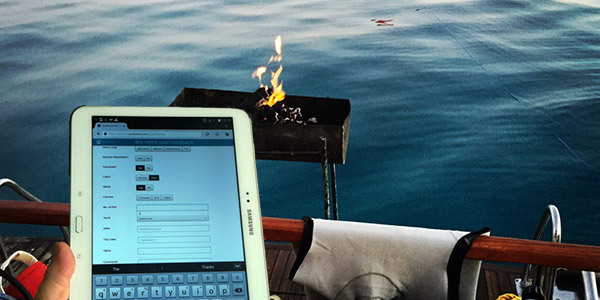 ScubaTribe has developed a cost effective and simple solution which combines onboard surveys with verified reviews in one easy to use and intuitive application. 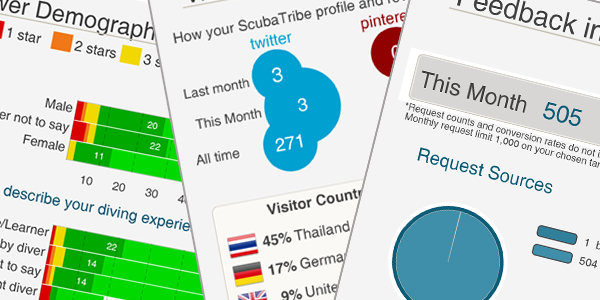 The ScubaTribe app is designed to work problem free even when there is no internet available. Provide us with the questions you want to ask your guests or we will work with you to design an effective questionnaire. We will set it up and activate the application for you. There is a small setup fee depending on the complexity of the questionairre and customizations required but we are pretty sure you won't need any. Hand a tablet to your guests with a cool (or warm) drink or have it locked in a stand in the salon. We can include trip information and guest names fed directly from your management software to make it easy to sort and attribute the information to the right people. Guests can reply anonymously and answers are not visible to the crew (unless you want them to be). The feedback is stored in the application until an internet connection is available and then the collected data syncs to our server. Immediate alert emails can be sent directly to your office for each survey and/or to your management software. Excel/csv documents with all survey data are available for download any time providing a comprehensive overview to help you take quick action as well as see trends over time.